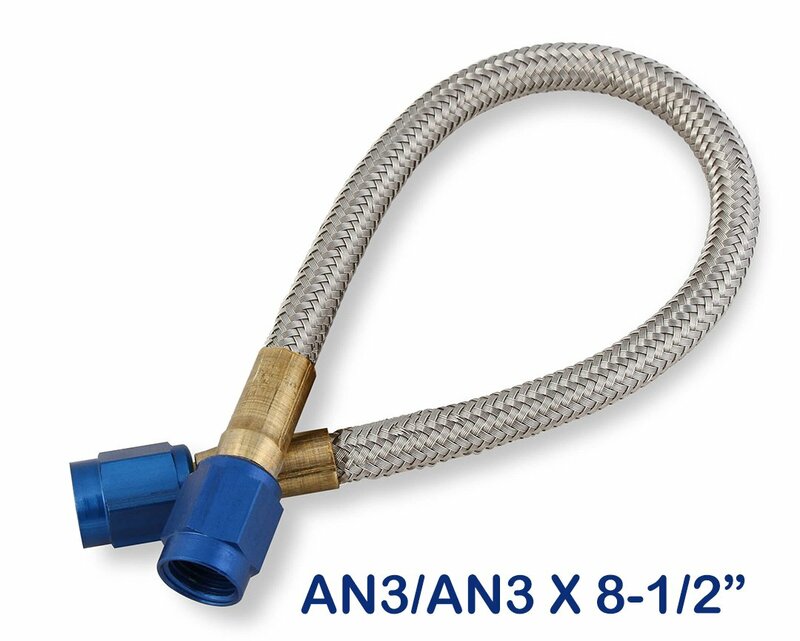 -3AN 8-1/2" Blue NOS premium grade stainless steel braided hoses come with -3, -4, -6 and -8 AN fittings (including step-ups) in virtually any length. 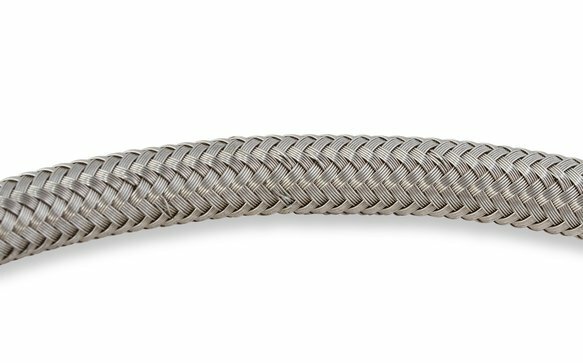 They are all PTFE lined to withstand high pressures and provide high flow with a stainless steel outer covering for strength and resistance to abrasion. All NOS lines are configured for a superior flow to strength ratio. The AN fittings are color coded for identification: blue (for nitrous) or red (for fuel).